The other day I rewatched the Homeland pilot. A friend of mine, who told me he’s really into spy shows and political dramas, mentioned that he’d never seen any of it. Naturally, I recommended to him one of the best shows of that subgenre, and he wanted to see it. 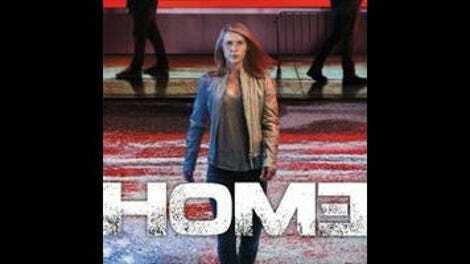 It had been a while since I watched it last, and I’m here to report that Homeland’s pilot is phenomenal. The story is intriguing and propulsive, and there’s not an ounce of fat to be found on the entire episode. On one hand, it’s arguably unfair to compare the current season to the pilot. But we’re at a point in the show’s history where each season premiere is presented as though it is, in fact, a new pilot. The characters and themes are familiar, but the tone, pace, and intensity get reset every year. “The Return,” like much of season six, is mostly shocking because of just how little happens in it. And it’s one of the most exciting episodes of the season. There’s a shocking death, some improvisational reconnaissance work, and a secret meeting on a pier between legendary intelligence agents. But it feels like literally nothing of circumstance has happened since the season began, and it’s halfway over. The episode begins in the immediate aftermath of Quinn’s meltdown, with Carrie trying to track him down and make sure he’s okay. Meanwhile, she’s trying to convince Conlin to investigate the photos on Quinn’s phone to figure out who’s really behind the bombing. The two former rivals team up after Conlin’s initial inquiries into the van and Carrie’s mystery neighbor turn up more questions than answers. Unfortunately, it’s Conlin who winds up doing all the legwork on the investigation. Obviously whoever is behind the framing of Sekou Bah are very familiar with Carrie, and there’s no way she would have been able to slip in undetected at the non-descript office building listed on the registration for Mystery Neighbor’s van. But as Conlin skulked around the shadowy organization, posing as a potential hire for some sort of data analysis job, I couldn’t help but think “Carrie needs to be doing this.” She excelled at these kinds of situations and would have likely gotten more information than the nothingburger Conlin was able to extract. Now Carrie is sidelined while a transient character gets to do all the fun stuff. Carrie eventually gets into the action when Conlin invites her to his house to talk about what he discovered in his investigation. By the time she arrives, Conlin is dead and Mystery Neighbor is creeping around the house with his gun drawn. The sequence is well-shot and reasonably suspenseful, but it ends with Carrie dashing straight to her car and peeling off before she gets hurt. Carrie’s got a daughter to think about now, so she’s understandably not as willing to put herself in harm’s way, but her decision to bolt rather than try to get the jump on the guy is baffling. Franny is still living at home after the Quinn incident, and therefore, whoever has been keeping tabs on her and tampering with her client’s van still lives directly across the street. Running away from the situation doesn’t do much to kick the can down the road. Speaking of roads, the episode’s title presumably refers to President-Elect Keane’s trek back to New York City after growing suspicious and tired of the creepy, compulsory bunker she was being housed at. Long stretches of the episode are just the road trip back to the city, with Keane talking to the woman who tends to the property and didn’t support Keane during the election. They have a heart-to-heart about their sons, both of whom died in combat, and the woman says she felt she couldn’t trust Keane in part because of Keane’s refusal to talk about her son on the campaign trail. When they arrive back in the city, Keane steps in front of a gaggle of reporters and gives a rousing speech about how New Yorkers are tough, and pays a rare tribute to her son. Thoughtful scenes like these have always been part of Homeland’s DNA, but to watch the pilot again is to be shocked by how little else of the original series is left here. The only thing I can hope is that when pilot season comes around again, the Homeland team will look back on the show’s glory days and figure out how to get the show they’re making now to feel more like the show they were making then. Saul now knows about the connection between Dar Adal and the Mossad agent, so there’s trouble brewing between this show’s version of Murtaugh and Riggs. Why is Franny back at home again? That seems like such a bad idea. So long Ray Conlin, you will oddly be missed. 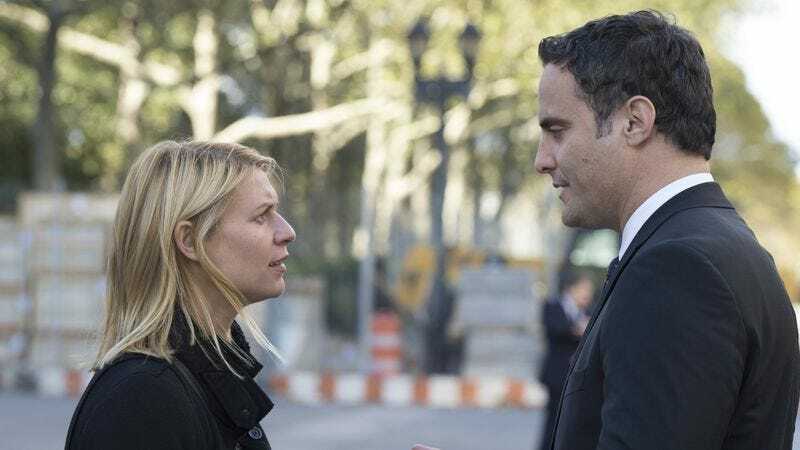 Dominic Fumusa had solid chemistry with Claire Danes and I would have liked to see more of that pairing.